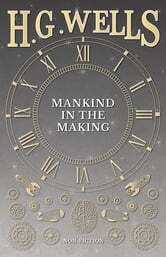 “Mankind in the Making” is a sequel to H. G. Wells' “Anticipations” (1901). Within it, he analyses the 'making' of man, exploring the circumstances and processes that change children into citizens of the modern world. He aggressively attacks a range of contemporary institutions and presents a new doctrine termed “New Republicanism”, which analyses things by their effect on the development and evolution of mankind. Contents include: “The New Republic”, “The Problem Of The Birth Supply”, “Certain Wholesale Aspects Of Man-making”, “The Beginnings Of The Mind And Language”, “The Man-making Forces Of The Modern State”, “Schooling”, “Political And Social Influences”, “The Cultivation Of The Imagination”, “The Organization Of The Higher Education”, et cetera. Herbert George Wells (1866 – 1946) was a prolific English writer who wrote in a variety of genres, including the novel, politics, history, and social commentary. 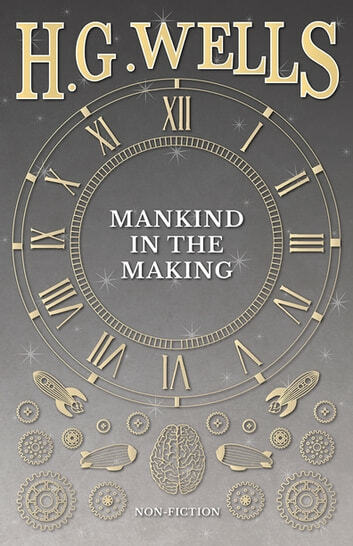 Today, he is perhaps best remembered for his contributions to the science fiction genre thanks to such novels as “The Time Machine” (1895), “The Invisible Man” (1897), and “The War of the Worlds” (1898). Although never a winner, Wells was nominated for the Nobel Prize in Literature a total of four times. Many vintage books such as this are becoming increasingly scarce and expensive. We are republishing this book now in an affordable, modern, high-quality edition complete with a specially commissioned new biography of the author. First published in 1903.